I just finished a delightful summer read: A Gentleman in Moscow. 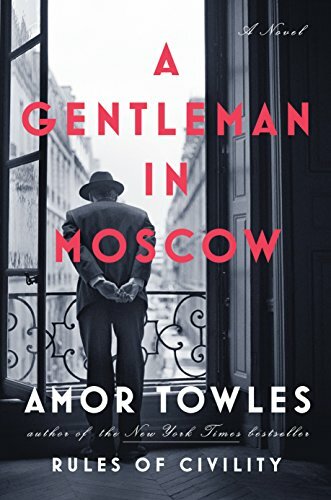 Amor Towles evokes a culture in change, as a Russian aristocrat sees his world change as a result of the Bolshevik Revolution. The Count is hilarious and poignant with his quirks, sense of humor, and careful manners, and the book itself is amusing with its occasional footnotes and author's self-conscious foreshadowings. The plot finds clever ways to move forward, despite Count Rostov's limited mobility (he must stay in the Hotel Metropol under house arrest, due to his being an aristocrat). The book's terrific characters and setting play off the backdrop of thirty years of pivotal Russian history, and it raises questions of circumstance and cultural change. A New York Times review is here, and my Amazon Associates link is below.